Thank you for your continued support and appreciation emails. 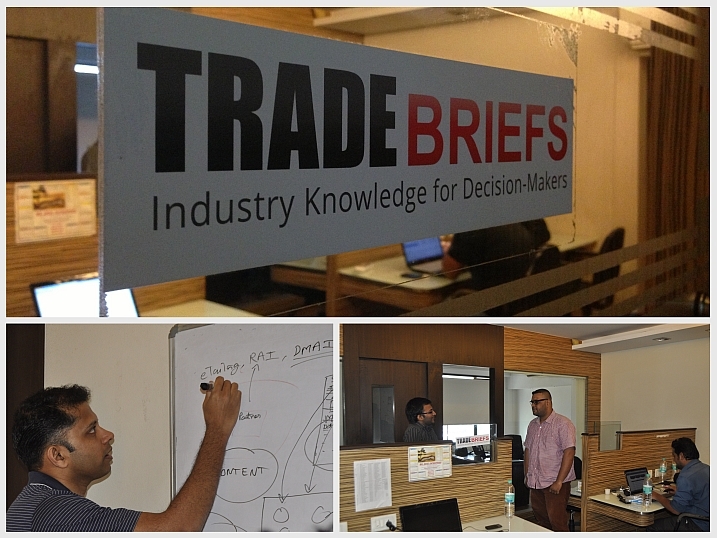 As we continue to keep corporate India informed (625,000 subscribers and counting), I wish to share some exciting new developments at TradeBriefs. This is where the magic happens. Our content, technology and alliance teams (led by Yahya , Mohsin, KotiReddy) work hard to come up with new ways to excite our subscribers, partners and advertisers every day. Our team of industry curators – Phalguni, Arpit, Sathya, Salar, Amit, Sreehari, Madhavan and Kuldip help create the best content for you, so you stay knowledgeable about your sector at all times. We have added a new stakeholder to our eco-system in the past few months, our partners. Our partners are top companies/associations with high quality opt-in lists. We help partners by creating high engagement daily communication vehicles (e-newsletters) that can be used to provide industry knowledge, engage with their member base and build brand recall. The Association/Company and Members receive this valuable service for free. We are proud to announce Retailers Association of India (RAI), Internet and Mobile Association of India (IAMAI) and eTailing India as our first 3 partners. Contact us now to see if your organization/company qualifies. TradeBriefs welcomes Nivedita Betgeri and Sanjay Badhe to our panel of columnists. Nivedita comes with a wealth of experience in the Retail industry in India and abroad. Her current role is Head, Western Region for HiDesign. Sanjay is a veteran in the Indian Retail industry, with senior level appointments at Tata Trent, Aditya Birla Retail and Shoppers Stop. He currently helps SMEs and startups in retail take the leap to the next level of growth. If you understand a sector well and wish to write for us, Apply to join our panel of industry experts. In partnership with IAMAI, we have launched TradeBriefs Digital Media, the most comprehensive daily brief on the Digital Media sector. Sign up here. We welcome Shopify, Adobe, Times City, Easy Educate, TUI India and Balance Design and Fashion to our community of advertisers. In the past quarter, we have also piloted re-targeting. Now, advertisers can get the benefit of targeting subscribers who have already shown an interest in their product or service. Our first two clients have received phenomenal open rates of 33%+ on these campaigns. Contact us today to see how we can help your company get more customers from India’s most engaged subscriber base of 625,000 professionals.